Kevin Spacey is an American actor, producer and singer. He began his career as a stage actor during the 1980’s before grabbing the major film and TV roles he is known for today. Spacey has starred in movies such as Horrible Bosses, American Beauty, Seven, Baby Driver. He’s also the face of the world famous TV series, House of Cards. 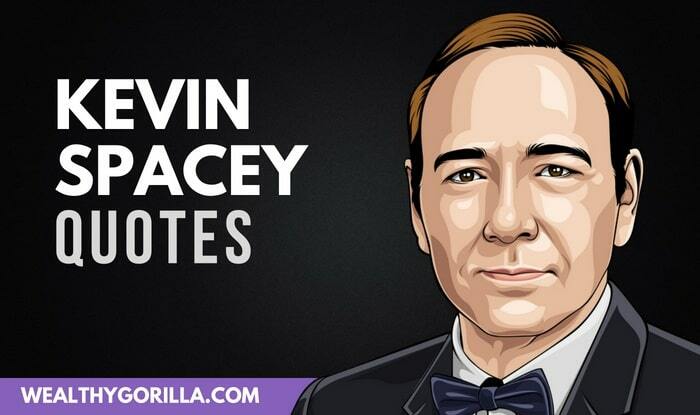 Thanks for viewing this collection of the best Kevin Spacey quotes! Don’t forget to share them with your friends and family on social media. Which are your favorite Kevin Spacey quotes? Leave a comment below.